We are looking for a highly skilled computer programmer who is comfortable with both front and back end programming. 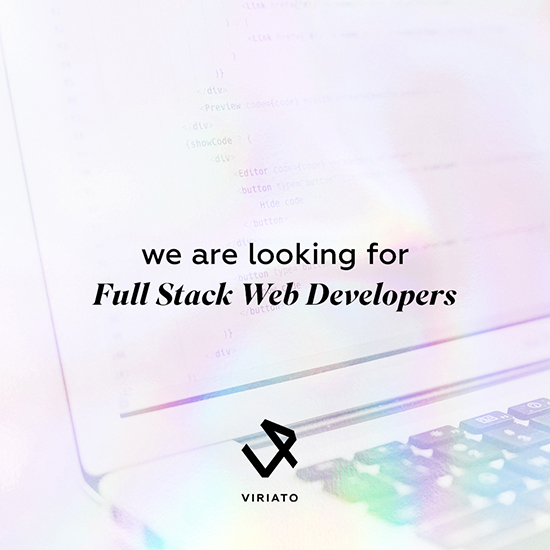 Full Stack Developers are responsible for developing and designing front end web architecture, ensuring the responsiveness of applications and working alongside graphic designers for web design features, among other duties. Full Stack Developers will be required to see out a project from conception to final product, requiring good organizational skills and attention to detail. – Developing front end website architecture. – Designing user interactions on web pages. – Developing back end website applications. – Creating servers and databases for functionality. – Ensuring cross-platform optimization for mobile phones. – Ensuring responsiveness of applications. – Working alongside graphic designers for web design features. – Seeing through a project from conception to finished product. – Designing and developing APIs. – Meeting both technical and consumer needs. – Staying abreast of developments in web applications and programming languages. – Strong organizational and project management skills. – Proficiency with server side languages such as Python, Ruby, PHP and .Net. – Familiarity with database technology such as MySQL. – Excellent verbal communication skills. – Good problem solving skills. – Application is followed by an interview (if selected) and an evaluation test. Are you one of our new Microsoft Business Intelligence Consultants, who has the combined (technical and functional) skill set to succeed in the role? Do you have a positive attitude, analytical skills and proactive work manner to join our team in Dellent? – Experience with .NET development is a must. – A program of partnerships with different companies in the fields of leisure, health and wellness, training, among others. If you are interested in challenging work and solving complex problems through technology – then Dellent is right for you!